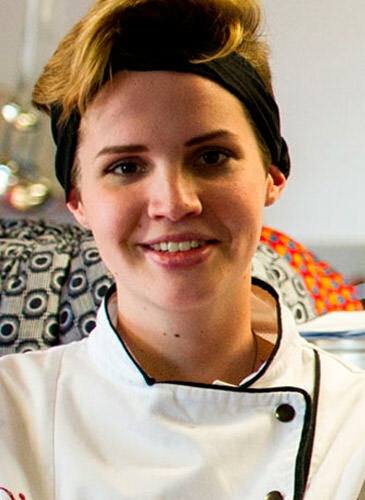 “I am blown away and absolutely humbled by these lovely reviews from your wonderful students.” This was the message sent from internationally-renowned chef, Dr Billy Gallagher, to Jackie Cameron after he received reviews written by the students at Jackie Cameron School of Food & Wine, based in Hilton, KwaZulu-Natal. Big Daddy has gone but his memory lives on. His enthusiasm is indelibly imprinted on the minds of those in the culinary industry – and he will be remembered, with fondness, by the students at Jackie Cameron School of Food and Wine. In her review on 'Lettuce and a Lady’s Breast', Catherine Cousins stated that the inspiration she received from Gallagher was his being utterly and profoundly in favour of competitions. She realised that “they build confidence, get your name out there and open your eyes”. Her goal, now, is to participate in more contests. Cara Conway said she knew the culinary industry involved more than cooking but the book took her hopes and expectations to another level. “It gave me new perspective and motivation with what I’d like to work towards, where I see myself in the future, and the people it could involve or hopefully impact,” she added. It was Gallagher’s “hard-work ethic and dedication” that inspired Carla Schulze - his "the more you give, give, give, the more you get, get, get" philosophy. “One realises that absolutely everyone starts somewhere but through passion and hard work you will succeed,” she said. Cameron was pleased to know that her students had accepted the review assignment, with enthusiasm. That they had appreciated what dedication and hard work could achieve; and most of all that they felt the passion he had about developing young chefs and instituting apprenticeship schemes. “Perhaps, one day, my students may be honoured for doing likewise,” she said.